With Father’s Day coming up and warmer weather upon us (finally!) we are all set to put together our first BBQ Party of the season. It’s a great way to commemorate my husband. He is such a great father and deserves nothing but the best. I wanted to put together a really special menu this year. 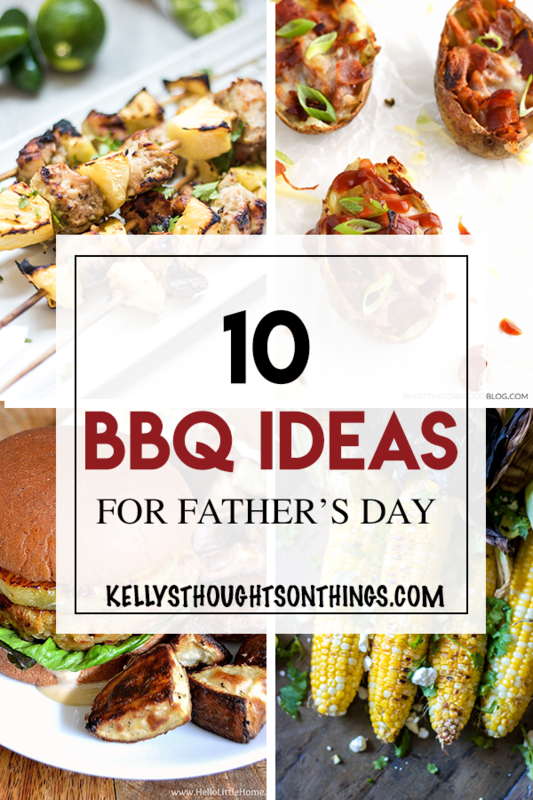 I surfed the web to find some amazing blogger ideas for BBQ recipes. I am particularly excited for A Mindfull Mom’s Grilled Mexican Corn. It’s going to make for a delicious side to our otherwise very meat-heavy dishes. What a great list of recipes! My husband would love all of these. Thank you for sharing a few of mine as well.